For better perspective, in a normal year, we typically only get 80 meteors per hour during the Perseids. And this year we will witness at least 200 meteors per hour. 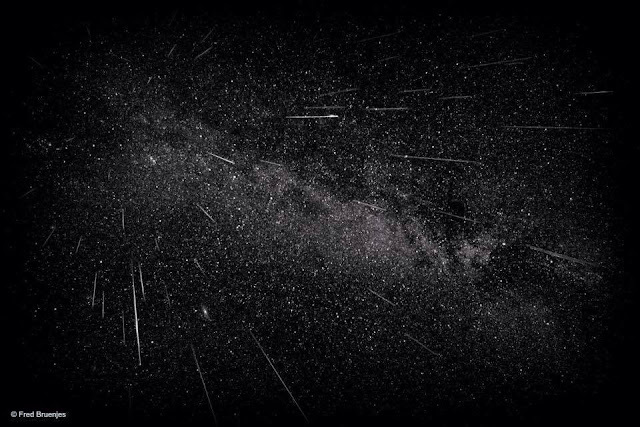 The Perseids Meteor shower occurs when Earth’s orbit gets us into the trail of Comet Swift-Tuttle, and typically we only make it into the very boundaries the debris trail it sheds as it passes through space. "[T]his could be the rare year where Jupiter's gravity tugs that stream a little closer, allowing our planet to plow right through the middle of it, where there's more junk and we see more meteors as a result." Earth is already in the path of Comet Swift-Tuttle, and is projected to continue shadowing it until August 24. And its peak is between August 11 and 12. So you get your calendars marked. If you’re in the Southern Hemisphere, the meteors should initiate in the sky from the Perseus constellation, which appears on the horizon at about 10pm ET (7pm PT). For the best show it is recommended that you try to stay up until after midnight.